in frontal view, wearing a traditional hussar jacket. 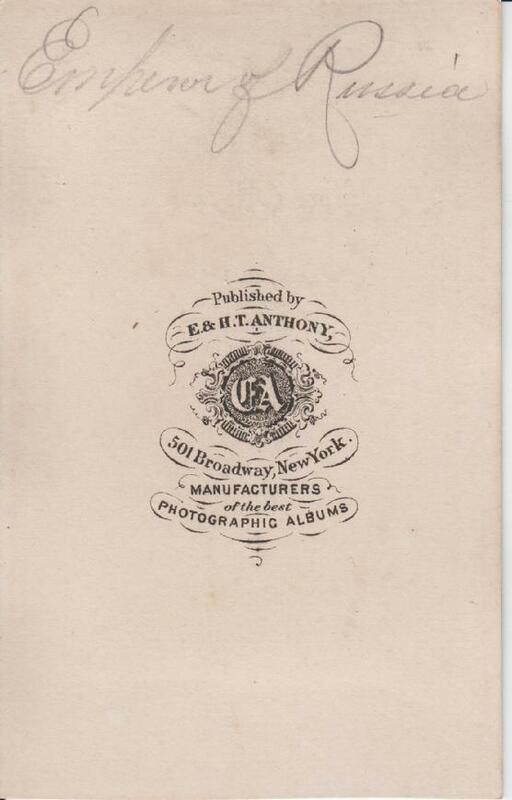 Published by E. & H. T. Anthony of New York. Alexander (Aleksandr) II Nikolaevich (Russian: Александр II Николаевич, Aleksandr II Nikolaevich) (Moscow, 29 April 1818 – 13 March 1881 in St. Petersburg), also known as Alexander the Liberator (Russian: Александр Освободитель, Aleksandr Osvoboditel') was the Emperor of the Russian Empire from 3 March 1855 until his assassination in 1881. 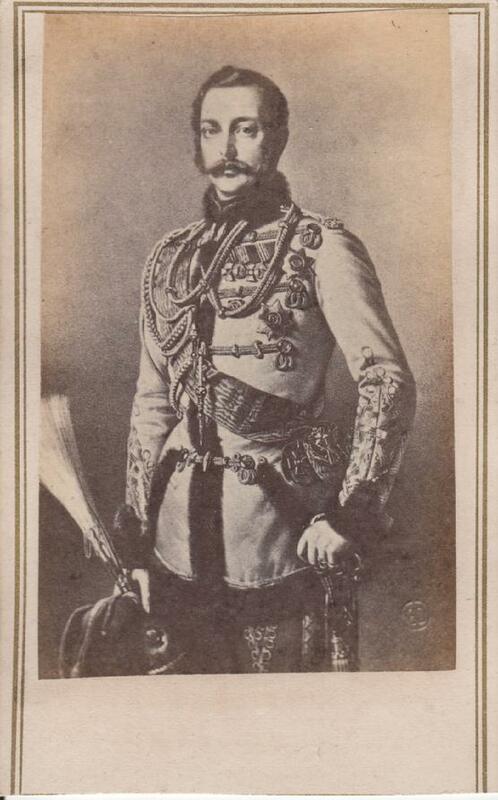 He was also the Grand Duke of Finland and the King of Poland.